Courtesy of RE/MAX Space Center. MOVE-IN Ready FORMER MODEL — minutes from Galveston & Kemah Amenities…NASA Space Center, Kemah Boardwalk, Moody Gardens, & much more. 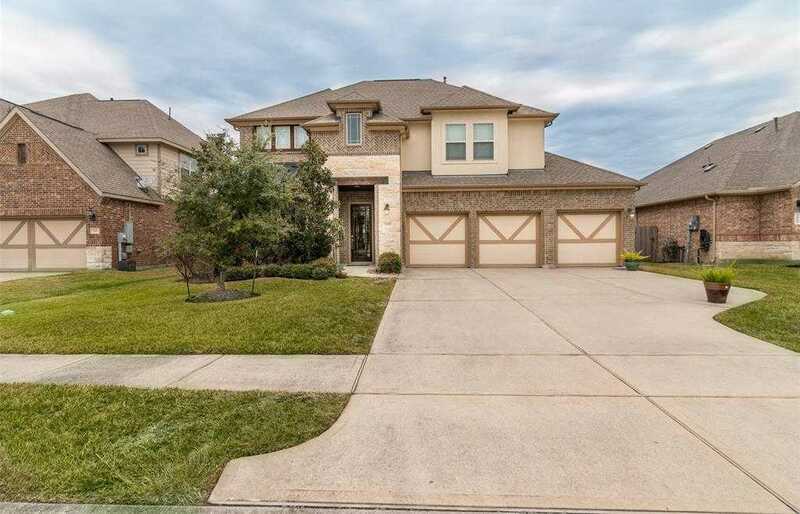 Fully LOADED 4 bed, 3.5 bath w/ 3-CAR GARAGE — Gourmet GRANITE ISLAND, rich 42 inch cabinetry, open family room, stunning hardwoods, formal dining, spacious upstairs bedrooms, & GAME ROOM! Relaxing master retreat with dual vanities & separate tub/shower. A family barbecue will be in order here — enjoy the outdoor kitchen and amazing covered patio.